All members of the Buffalo State community are encouraged to attend. Convocation, from the Latin words meaning “to call together,” has been used to describe a ceremonial assembly of members of a college since the fifteenth century. 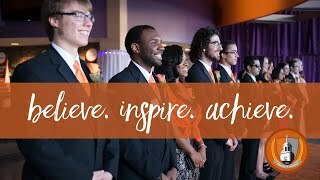 At Buffalo State, the annual event provides first-year students with the opportunity to hear from administrators and an inspirational young alumnus (Sheldon Anderson, '17) as well as to meet fellow classmates and faculty. President Katherine Conway-Turner, Provost Melanie Perreault, and Vice President for Students Affairs Timothy Gordon, along with the academic deans will welcome new students to the beginning of their college journey. A short video presentation will provide the audience with a glimpse of what the campus holds for them. 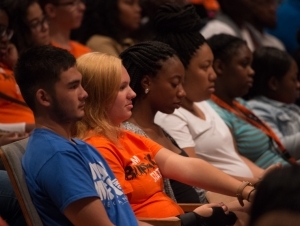 This fall, more than 1,700 first-time students will be enrolled at Buffalo State.